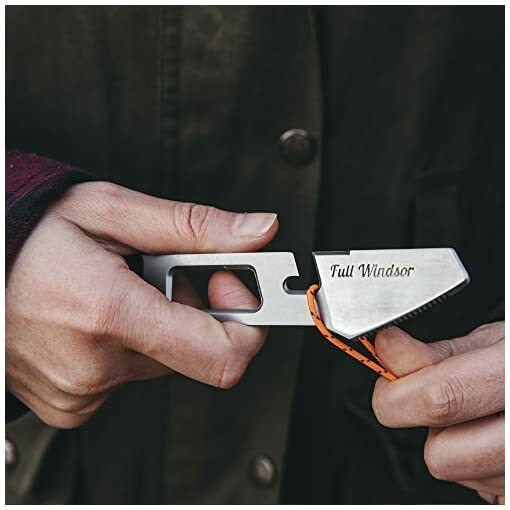 Full Windsor THE MUNCHER Titanium Multi Utensil by 10 Function Lightweight Multi Purpose Tool includes Spork, Knife, Fire Starter, Bottle Opener. 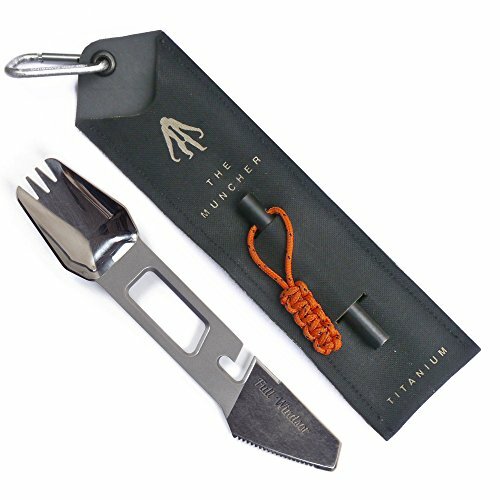 Multitool for Camping, Travel, Backpacking gear. 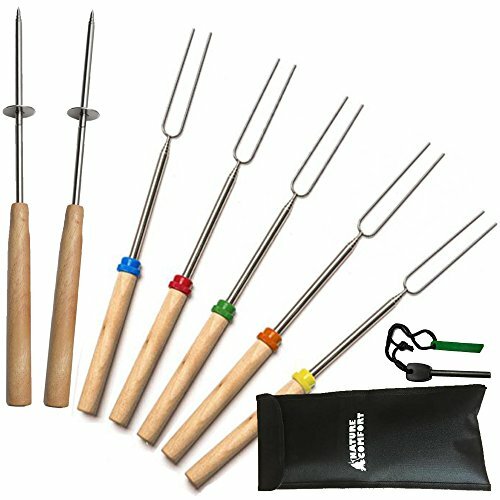 Modern life is full of tasks or unexpected situations where it would be handy to have a tool for everything by your side at all times. 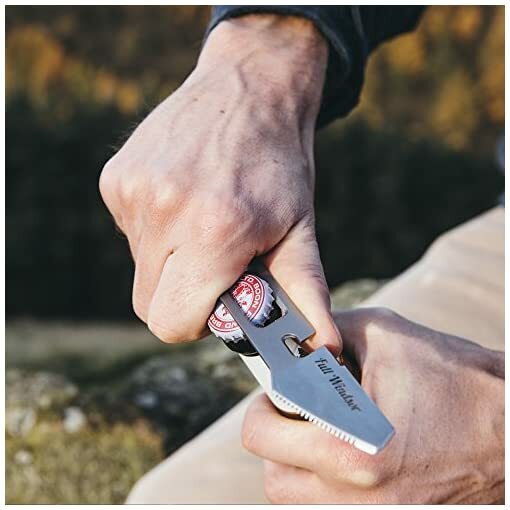 The old bulky folding knifes with limited functionalities are often not enough to solve every problem you face. Maybe you can do some crazy MacGyver trick to open your cold beer, but for everyone else there is the Muncher! 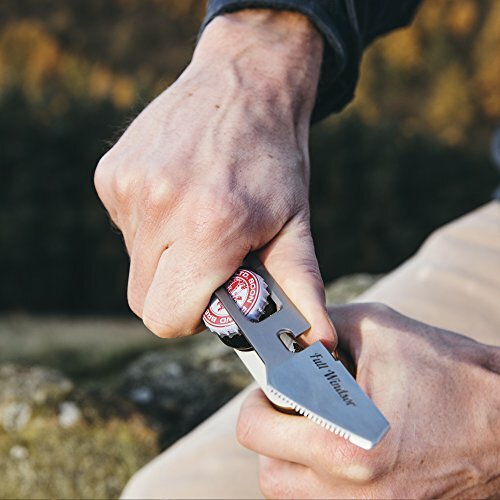 Introducing the pocket multi-tool that gives you 10 functionalities without having to walk around with a janitor’s keychain everywhere. The Muncher’s versatility makes it a must for anybody who loves to travel or go on adventures no matter if it is camping in your backyard or backpacking around the world. The handly bottle opener found in the middle will not only bring you hydration and salutations, but it also functions as a very useful potato peeler. Next to this is a can opener and cord cutter. 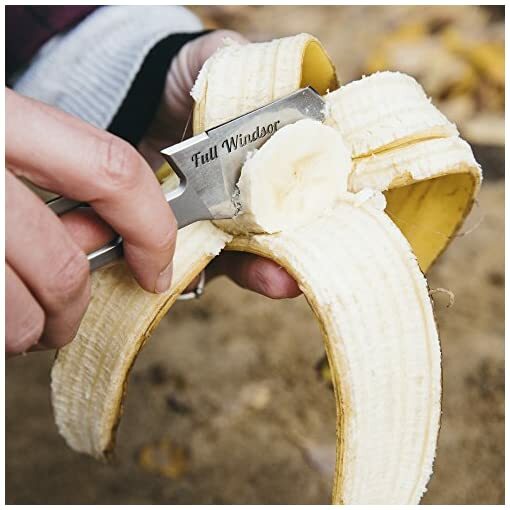 The end of the utensil can be used in a variety of ways, be it as a flat head screw driver, pry-bar for opening lids, or even a box cutter for opening food packaging. A hypalon pouch keeps the utensil safely stowed away. 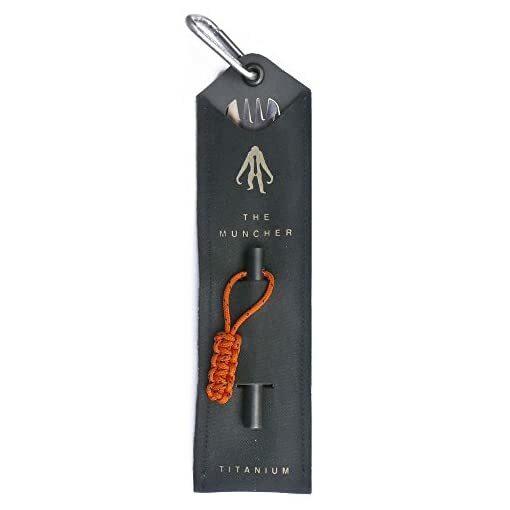 It’s carabiner allows it to be attached almost anywhere for safe keeping. The pouch stores a ferrocerium fire starting flint that can be used in conjunction with the angled edge of the can opener to create a spark to get your fire going wherever in the wilderness you might be. 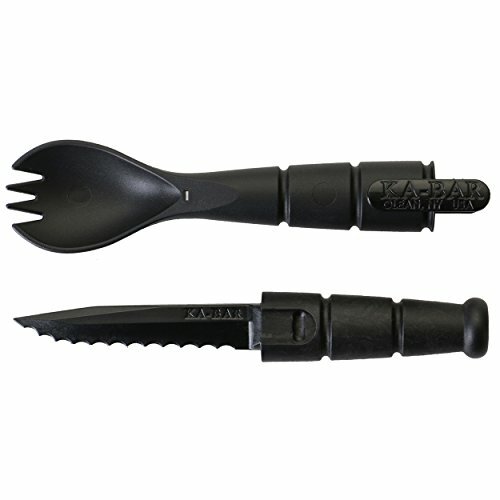 The highly polished titanium spork and serrated knife are easy to clean and always ready to be used. LIGHT, OPEN, EAT – The Muncher has got you covered. Get the Full Windsor Treatment with The Muncher Today! 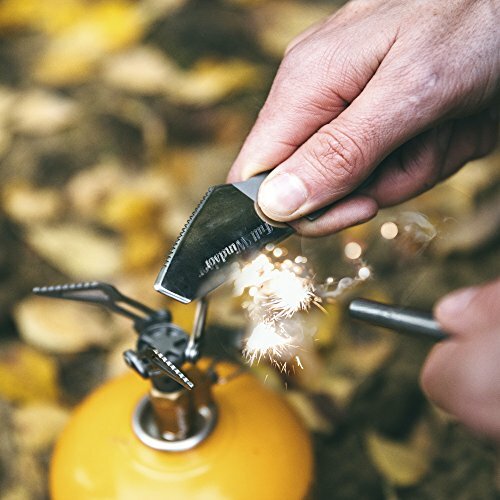 ✔ 100% TITANIUM – Stronger than steel, durable, and anti-corrosive, this multi-function tool is made from lightweight aerospace grade titanium weighing only 0.7 ounces! 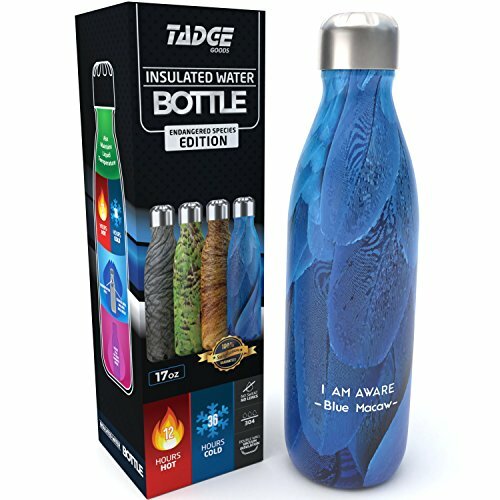 The highly polished titanium is easy to clean while never producing a metallic flavor. 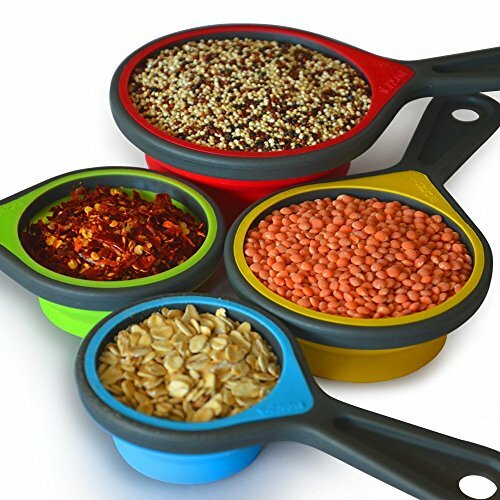 The middle section of this multi-purpose tool features a sand blasted texture creating an anti-slip grip. ✔ OUTSIDE MAGAZINE GEAR OF THE YEAR 2018 – With 10 multi functions, you’ll be prepared for anything the great outdoors or the cozy indoors throws your way with this lightweight, heavy duty titanium multi-tool! The 10 functions include: Spork, Serrated Butter Knife, Can Opener, Peeler, Bottle Opener, Fire Flint, Cord Cutter, Screwdriver, Pry-Bar, and a Box Cutter. 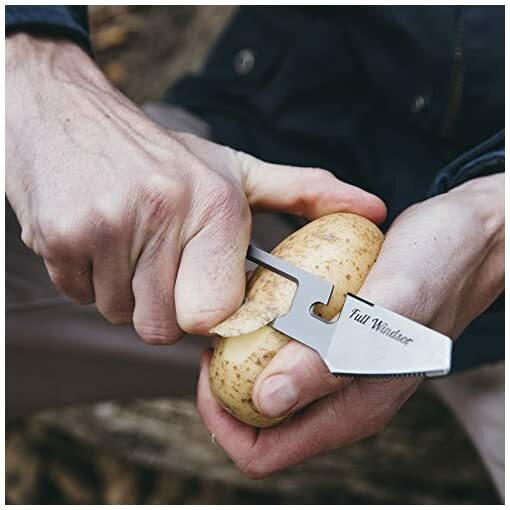 If you need a utensil that can do everything, The Muncher is ready to chow any task down! 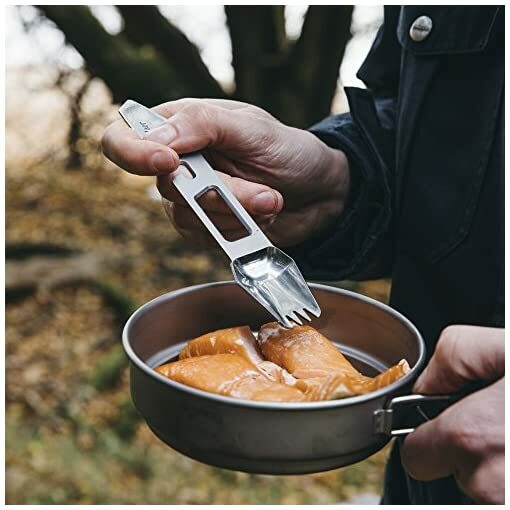 ✔ EARTH TO SPORK – Carrying a Muncher means you will never have to use another cheap disposable plastic fork, spoon, or knife ever again. 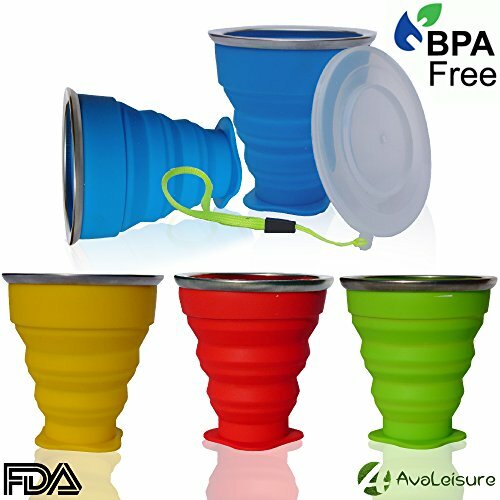 Now that’s a great zero waste eco-friendly solution ideal for picnics, parties, hiking trips, road trips, traveling, fishing, EDC, and more! 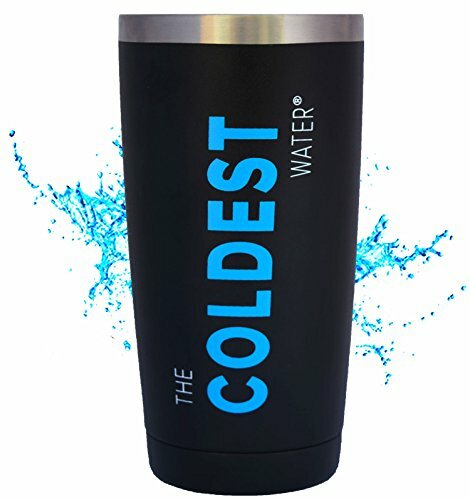 The planet wins while providing you with a spork and knife to help eliminate dependence on cheap plastic eating utensils which are polluting our Oceans and killing sea life. 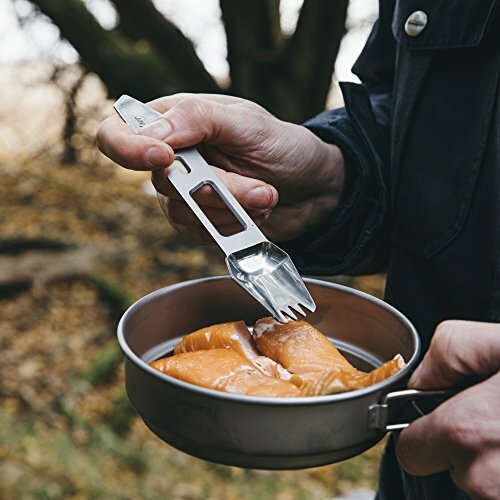 ✔ BECOME A SPACE AGE GRIZZLY ADAMS – When it comes to camping accessories or cutlery that can be used anywhere, you need more than just a pocket knife. 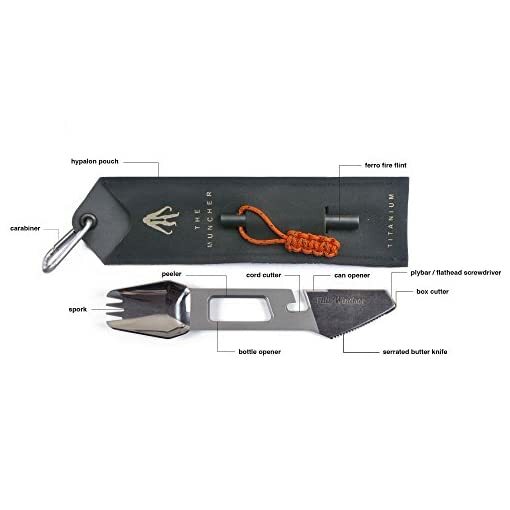 The Muncher features a Hypalon Sheath and carabiner to keep it safely stowed away on your backpack while offering you useful tools for emergency survival in the wilderness such as the fire flint’s ferro rod that works with the special striking edge. 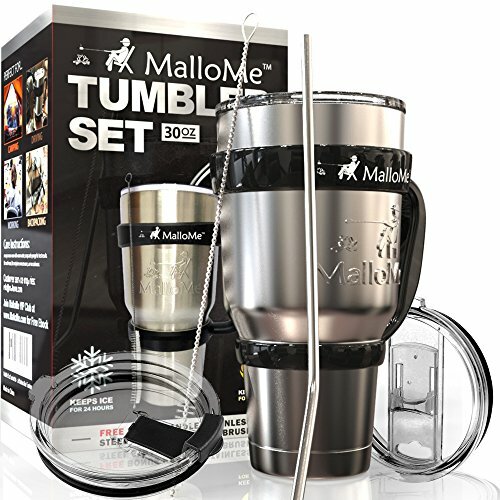 The titanium provides maximum strength and durability ready for a lifetime of adventures.